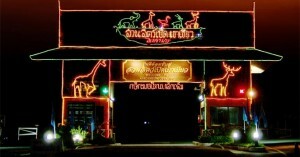 Warm Wishes, We are privileged to invite, all of you wildlife adventurer, to the best zoo in Bangkok, so get ready to have an ecstatic time of your life, before you start missing the year 2011. Khao Kheow Zoo has had quite a remarkable year this year as well, with lots of thrills and adventures, offering absolutely mesmerizing wildlife experiences. Before you get confused and start thinking about your New Year resolutions, prepare yourself for one of the most memorable moments of your life and plan a scintillating wildlife trip at Khao Kheow Forest & Wild Park for fun. In spite of the time constraints and other hectic activities, humans need to get close to nature and should explore the wilderness of the nature. 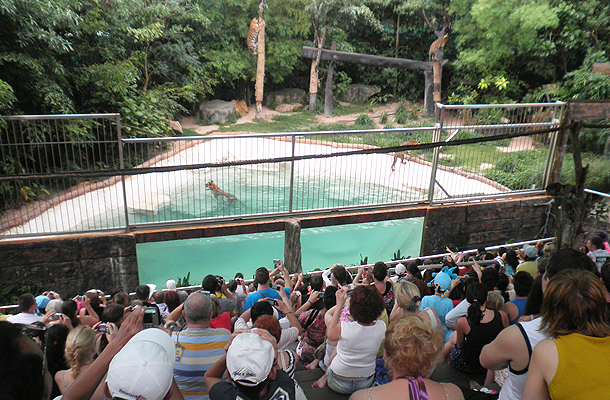 This enables visitors to understand the mysterious facts of wildlife and its mind blowing amazements. Journey To The Jungle: A conservation presentations are designed to educate wildlife enthusiasts and to spread the awareness about the wildlife. This show is aimed to help visitor to understand, how animals communicate into the wild with nature and it clearly explains, the ecological hierarchy and food chain. 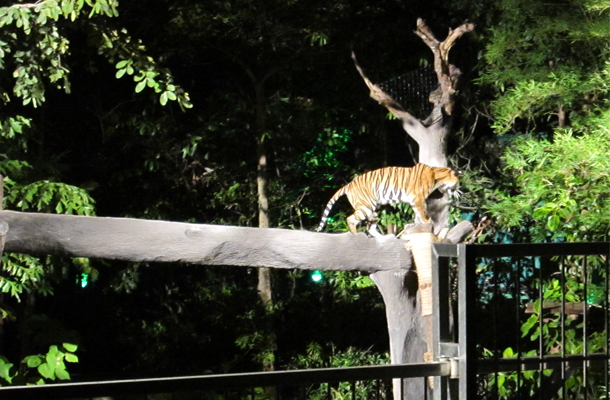 Wild Khao Kheow: This spectacular show teaches visitors, how to keep environment clean, importance conservation in wildlife, and advantages of recycling. This thought-provoking show exhibits activities, where friendly birds and animals teach humans how to keep their surroundings clean, while just doing little simple things. Visitors gets chance to be around mischievous birds such as Hornbills, Macaws, Lories, Eagles and other animals like the Skunks, Raccoons, Wild Boars and the Orangutan! After Dark Safari: Night safari around thick jungles of the forest, to experience the real behavior of wild animals in their own territories. 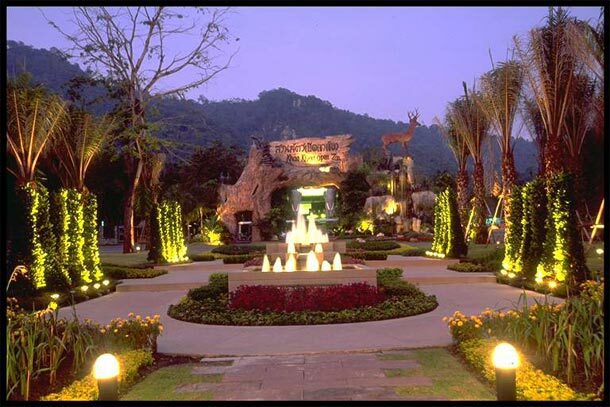 Wild Dusit: Its DUSIT wildlife program, where area is replica of a jungle with lush plants and appropriate artifacts. 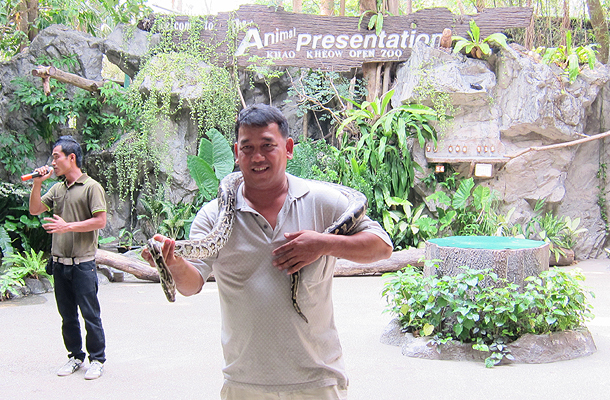 This program gives visitors the opportunity to have up-close look at the wild creatures. It may seem like a classroom thing but it’s an amazing show to experience with your family. 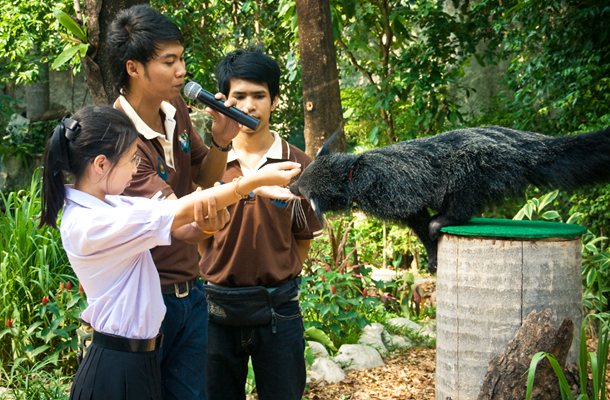 Program for Students: Show provides learning experience and teaches about the amazing facts of wildlife creatures. This show will certainly ignite the curiosity in your child’s interest about the wildlife, as it’s very adventurous and thrilling experience. 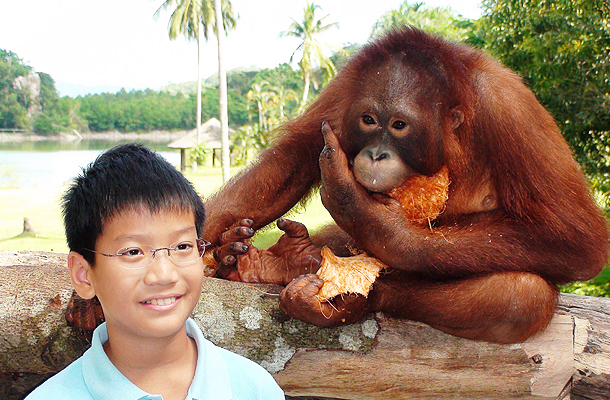 Breakfast With Suriya: Life time experience, where visitors get a chance to have lip-smacking breakfast and lunch with friendly orangutan called ‘Suriya’. 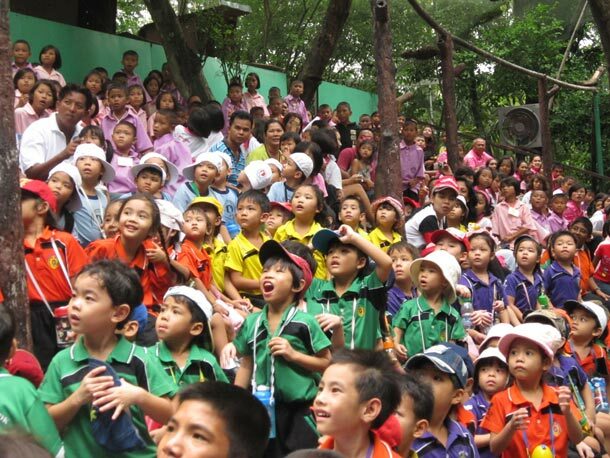 These are just some of the shows and besides this there are many exciting places to visit in Khao Kheow Zoo in this holiday season to satisfy, visitor’s appetite for wildlife adventure. We want our fearless visitors to be with their families and loved ones, during this Holiday Season and to embrace sparkling New Year with happy memories, along with being in the best zoo in Bangkok.